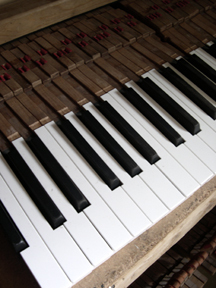 Contact Barbara Martin Piano to schedule a complete piano tuning with one of our piano technicians. We will help you schedule an appointment and provide you with efficient and friendly service for the maintenance and care of your piano. 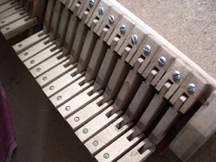 We can also set up a yearly maintenance program that can extend the life of your piano. Or if you need a rebuild or restoration, we can schedule a pick- up and start the restoration process with one of our expert craftsman. Don't forget that we now offer piano storage too! Assistance or advice given to customers during and after the sale of goods: Barbara Martin Piano can provide you with quality customer service. A 57 year old piano repair company located in Indianapolis, Indiana specializing in piano tuning and restoration. Previous winner of the "Super Service Award" from Angie's List: Barbara Martin Piano can provide you with quality service, care and maintenance of your piano.